We need your help. We need you to not ask any questions. 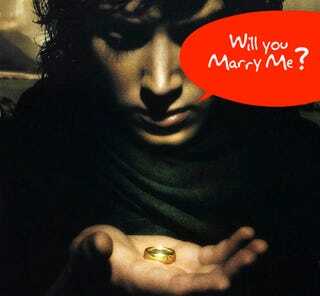 We need you to videotape yourself saying the following five words "Katie, will you marry me?" Please send your 30-second-long max videos to marryme@gizmodo.com by Monday, October 25th. Dress up. Dress down. Wing it. Have fun with it. Be creative. To get the ball rolling and loosen up those inhibitions of yours, I'll start. Now remember—send those videos (or upload links) to marryme@gizmodo.com. Deadline is October 25th, and we'd love to get as many of you as possible included.